Please note that just because I have listed an organization below, it does not necessarily mean this is a recommendation. Like what you see? Sign up here to get my weekly email. Melons & Clementines (NDG) – A great breastfeeding café with a large selection of nursing wear, nursing bras, baby carriers and pumps. They also offer classes and workshops. 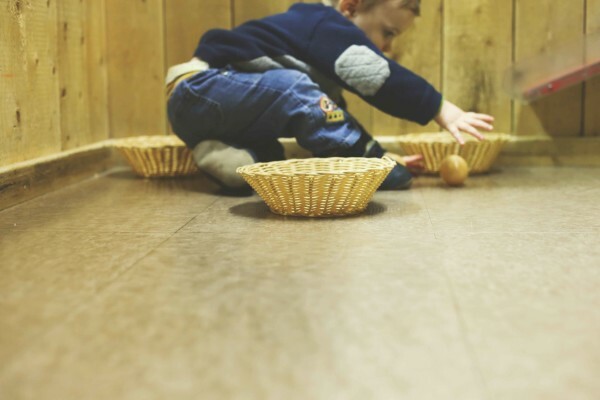 Tasse Gamine (Plateau) – Breasfeeding café that has a large play area and offers kids activities. Café Kali (Verdun) – Cafe and activities for kids. Includes a play area and is breastfeeding friendly. They also have a nice choice of meals (vegetarian options included), a boutique with the basics for mom and baby with natural products and gifts. They also we offer activities for the whole family from musical awakening to free encounters with breastfeeding professionals like La Leche League every month. Montreal Families – Event listings and community news including articles and other resources. I highly recommend picking up this free magazine. Also their online event listing is very complete – check it out. Montreal on the Cheap – Events and happenings that are free (or very affordable) and family-friendly around Montreal. Okidgo – A directory of family services connecting parents to services and activities in their neighbourhoods. Destination Sleep (Various) – Shawna Rose – Pediatric Sleep Consultant serving Montreal, Quebec and surrounding regions. Nourished Mama (Various) – Jen Wende – Nourished Mama Wellness workshops in NDG and private sessions focusing on essential oils, functional movement and mindset practices (all also available online). Mom and baby barre classes at ELMNT in NDG and a Nourished Mama book club. La Crème de la Prem – (Various) – Workshops for Pregnant & New Moms. Children’s Health and Wellness Center – (Laval) – Medical canter that also has pre-natal classes and parenting classes in house or at home. Protect Enfant Inc – (Cote St-Luc, Decarie Square) – CPR and First Aid courses for both professionals and non-professionals (i.e. parents, nannies, etc.) that can be taken at the Jewish General Hospital or privately at home, in daycares, etc. They also do childproofing including installing appropriate gates for your needs. Première Ressource – An anonymous and free service for professional consultations for relationships between parents and children. Anyone can call and questions might be about discipline, separation anxiety, etc. A great resource with solid advice. Guide to Navigating the Montreal Healthcare Scene for Pregnant Women – A great resource for considering all your health care options in Montreal. The Baby Box Company Canada – Based on a Finnish tradition, FREE Baby Boxes are now available in Quebec as part of our safe sleep and infant mortality reduction initiative! Enjoy your portable bassinet and the confidence ​knowing that your little one will be sleeping safely in their Baby Box​​! We have monthly events all over the city. Seeing Voices Montréal – Sign Language classes for parents and babies – Non-profit organization offering American Sign Language courses for parents and babies, taught by native sign language users. Also empowers the Deaf community through performing arts & theatre. Music for Young Children – (NDG) – MYC provides the best quality music education to young children by blending the pleasure and the joy of music making with sound instruction. Lessons are in a group setting with parents and integrate keyboard, creative movement, rhythm, singing, ear training, sight-reading, music theory and composition. Call Liz at 514-290-1388 for more information. Cardio Poussette (Stroller Fitness) – (Various) – Get in shape with your stroller outside! It’s a real workout. For babes under 12 months. Studio Vie – (Westmount) – A fitness studio in Westmount specializing in pre and postnatal fitness and personal training. They offer prenatal fitness, prenatal yoga and mama baby fitness. Ambaa Mamas – (St-Henri) – part of Ambaa Yoga, a volunteer run, non profit yoga space dedicated to making yoga accessible to everyone. Offering Prenatal Yoga, Mom and Baby Yoga and Kids Yoga classes. All class fees go directly into supporting our Wellness Program which allows people living with chronic illness to participate in classes on a donation basis. Ambaa is also the home to Little Lotus Yoga for Kids – offering Yoga for Kids Teacher Training Programs to those interested in sharing yoga with children. Studio Bump – (Various) – A maternity fitness and wellness studio. Classes are available at Plateau, Downtown and TMR locations. Westmount YMCA – (Westmount) – They offer some Mom & Baby activities including free fitness classes for moms & babes under 12 and drop in activities. As at the time of writing (March 2013) there is a free Mom & Baby fitness class on Tuesdays at 11:00. Boutique Boomerang Kids – (South Shore, St. Hubert) –For all of you on the South Shore at the time of writing (June 2014) they offer a free Cardio Poussette class. See their Facebook Page for hours. Happy Tree Yoga – (Little Burgundy) – Parent & Baby and Tot Yoga classes near Atwater on Ste-Catherine. MamaDances – (various) – MamaDances Parent and Toddler Dance Class offer toddlers a chance to be swept off their dancing feet. Parents have fun and engage with their children and each other through dance, physical (non-competitive, non violent) playful contact, rhythms and songs in various languages from various cultures. Designed to inspire movement through observation, dance and creative expression, these classes focus on child development stimulus and cultivating healthy autonomy within a group. Maxine Grossman Personal Training & Group Classes – (NDG) – Maxine offers personal training or bootcamp/circuit style classes. She is also a specialist in pre- and post-natal fitness. She’s open to creating small group classes for 3-5 people as well so gather your buds and create your own class! The Schubert Pool – (Plateau) – Swimming lessons and other classes include aqua poussette and pre-natal aqua form. Studio Barre Plus – (West Island) – Studio Barre Plus offers Barre group exercise classes for everyone including pre-natal (expecting mothers) and post natal (mom & baby). We also offer regular classes and a less intense gentle barre class. PLAYFIT – (Beaconsfield & West Island) – PLAYFIT offers outdoor children’s yoga classes at Beaconsfield Centennial Park (ages 4 and up). We also provide toning, conditioning and interval training classes for adults, including pregnant women (strollers also welcome). Our motto is: be fit, have fun! Le Petit Gym – (Various) – Fun kids activities in Laval, and St-Laurent. Montreal Children’s Library – Bibliothèque des jeunes de Montréal – (Westmount) – Offers After School Programs at the Green Centre and Story Time and Mom and Tots at the Montreal Oral School for the Deaf. Happy Tree Yoga – (Downtown, Westmount Adjacent) – Parent & Baby and Tot Yoga classes near Atwater on Ste-Catherine. 4 Cats Art Studio – (Outremont & NDG) – An art studio in the Plateau/Outremont and NDG with classes and workshops for ages 3 and up including PED day workshops, and spring break camps. West Island Music Academy – (West Island & Cote St-Luc) – They offer mommy & me and music for toddlers programs and have a location in CSL. Kosa Academy – (NDG) – It’s not super clear from their website but I read an article in Montreal Families that there is a “Jamming Kids” program for children 3-5. Their centre is in NDG on Beaconsfield below Sherbrooke. MamaDances – (Various) – Parent and child (babies and toddlers) dance classes all over the city including Westmount. Mon Gym – (West Island) – Gym classes & activities for kids from 6 weeks to 13 years. Bach Before Bedtime – (Downtown) – For 45 minutes, your children will be treated to a short concert, have a chance to meet our musicians, examine our instruments and listen to some wonderful music. Amuza – (Mile End) – Workshops for all ages but for kids and babies there are all sorts of workshops. Check out their website for listings. TrèsStudio – (Plateau) – Mom and baby barre class (they also have pre-natal). Bricks4Kidz – (Kirkland/West Island) – Bricks4kidz is an educational and fun learning centre for children 3-13! They use LEGO Bricks to create unique builds with motors so they move, which the kids love! They have drop in classes, weekend workshops, parent and child play days, birthday parties and more! Gym Gadbois – (Atwater) – Gymnastics starting at 3 years old. Milton Park Recreation Association – (Plateau) – A community center offering a whole lot of classes for everyone including language classes, dance classes and swimming lessons. Kids activities include sports, day camps and swimming. Musique&Compagnie – (various) – Stimulating musical workshops for kids from 0 to 5 years old. During the workshops, kids will discover a world of sound and music through global development using play and exploration of different instruments. Parents will enjoy seeing their children grow and will marvel at their curiousity … Always with a smile! Boys and Girls Club of LaSalle – (LaSalle) – Our after school program offers homework completion help in English, French and Math, as well as hot meals and extracurricular activities everyday. The charge is 6$ a day, with no obligation to come for any set number of days. Marylène Dussault – Birth doula and perinatal yoga teacher in Plateau-Mile-End offering bilingual services for women and families prenatally, during childbirth as well as postpartum. Rock the Cradle – Group and private prenatal classes, birth and postpartum doula services, workshops and activities for new parents. MontrealMT.com – (Verdun, Sainte-Anne-de-Bellevue, Laval, Mobile) – Montreal MT is Montreal Massage Therapy, Montreal Mothers Therapy. Licensed massage therapist and insured birth assistant offers Doula Services, Hypnosis for Birthing, Prenatal & Postpartum therapeutic massage care, Infant Massage & Bodywork, Infant Massage & Childbirth ateliers. Pop & Confetti is a Montreal-based online party boutique that offers customized themed party kits and curated party supplies to help busy hostesses throw a memorable party. Plateau Playgroup Google Group – An online bulletin board which is not restricted to the Plateau. You can find out pretty much anything here from where to get used toys to recommendations on babysitters. I suggest you get a daily abridged version otherwise you will be inundated with emails. Mummieslist – Online resource with a savings card, shopping, activities and resources. Kiid – (Montreal-wide except: West Island, Montréal Set, Montréal Nord) – Kiid provides parents with a stress-free way to find top quality baby-sitting services–even for last-minute emergencies. Parents can book baby-sitting services in just a few clicks. All they have to do is create a profile and enter the details they wish to share with the baby-sitter, who will receive the information in advance. All of the babysitters have a minimum of 3 years of experience, first aid certification, professional training and a clean background check. Murphy & Ritchie – I get a lot of people moving to Montreal asking me about schools, and I don’t feel I’m the best resource for this. I suggest that you get in touch with this consultation firm who will be able to provide you with a more solid understanding.